earth, moon & sun herbals (emsh) was founded to support you in achieving holistic health on all levels: mind, body, and spirit. The founder of emsh, Daniela, uses medical intuition, herbal medicine, holistic nutrition, energy medicine, and spirit readings to align all aspects of your being and to guide you on your journey of healing and self-discovery. This truly integrated approach to healing and rejuvenation does more than help restore balance in your body and mind—it cultivates vibrancy, vivacity, and vitality in every vibrating cell. It enhances your access to, and expression of, “higher” (less dense) realms of consciousness. It helps to expose and release layers of cellular and genetic patterning, programming, and imprinting that have been instilled through ancestral, social, experiential, and heuristic indoctrination. These patterns and programs drive your conscious and unconscious beliefs, thoughts, behaviour, and perspectives, as well as define your physiology and overall health. They shape every aspect of your life experience and influence your “free will”, even without your awareness. If your patterns and programs “encode” illness or disease, you will experience these imbalances physically manifested in your body and mind. When you begin to elucidate and clear these patterns and programs, you can begin to access your “healer within”, create your life experience from a position of profound self-awareness, impact your physiology at the cellular level, and consciously redefine your state of health with empowered intention. The insights and perspectives I received from that transcendental experience profoundly shaped my life. I gained a powerful existential perspective; an unshakeable sense of gratitude, awe, and humility; and a profound insight into the realms of the physical and metaphysical. 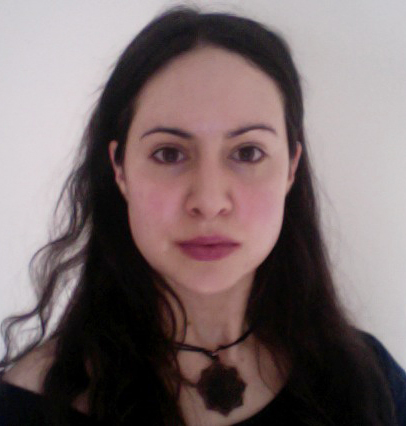 After pursuing academic and professional training in science, natural medicine, traditional arts, and mediumship through various institutions and from many teachers and masters, and following two near death experiences, my natural gifts of clairaudience, clairsentience, clairvoyance, and clairempathy heightened and intensified. I founded emsh because I have had a life-long passion to help shape this world into a healthy, happy home for all who share it. I believe that when people have gained a profound sense of self-awareness, whole body and mind health, and inner serenity, they will embrace life and all of existence with awe, wonder, excitement, respect, and deep reverence. I believe this will create a truly beautiful world. I aim to do all that I can by sharing my skills, knowledge, and wisdom to contribute to creating such a world.